OMD had said that they were taking as much time as they needed to follow up “History Of Modern,” their return to recording from 2010. All of 2012 came and went with only postings to the OMD forum by Andy McCluskey on the progress of “English Electric” to show for it. After a dip into the “Dazzle Ships” playbook of brief, abstract sound collage for the first of four such interludes here, that means that there were only eight new “songs” here, and also like “Dazzle Ships,” one of them [“Kissing The Machine”] had been re-worked from an earlier, 1993 collaboration on the first Karl Bartos Elektric Music album. The similarities did not end with these stylistic congruencies. It opened with the bracing palate-cleanser burner “Please Remain Seated,” and the evocation of the “Dazzle Ships” aesthetic was rather appropriate. It’s not a piece of music, per se. It’s an artistic collage of sound featuring electronic jingles, synthetic voices [straight from “Dazzle Ships,” albeit using modern text to voice synthesis instead of a Speak N’ Spell®] and glitch aesthetics. While “Dazzle Ships” was an album that addressed external politics, the big difference with this album was that “English Electric” was largely about internal politics. Significantly, Andy McCluskey had divorced from his wife during the period between “History Of Modern” and “English Electric.” When I listen to this album, it is almost entirely colored by my reading of his personal catastrophe. “Please Remain Seated” opens with synthetic voices telling the listener that “the future your have anticipated has been cancelled… please remain seated and wait for further instructions.” That remains one of the most oblique divorce references I’ve heard but this album is packed with them. The pre-release single, “Metroland,” was perhaps the lightest moment of the album. A long Kraftwerkain pastiche of “Europe Endless,” it maintained a superficial jauntiness that seemed to spiral upward and outward, but scratch the surface and the negativity and bitterness lay there in waiting. “Night Cafe” was the third single. 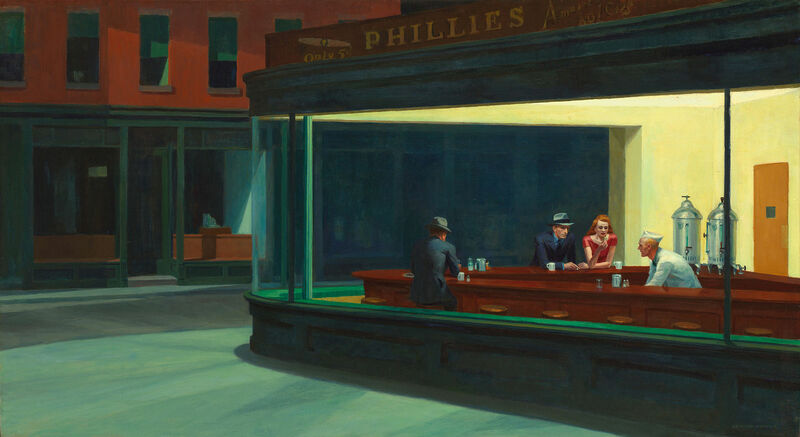 The song used Edward Hopper’s seminal painting “Nighthawks” [Left] as a touchstone and not for the first time in OMD’s history, either. Many will recognize that the cover of the OMD album “Crush,” sought to depict the scene from a different angle, incorporating Andy and Paul into the urban landscape. Hopper’s painting spoke to the urban desperation and isolation that haunted many, as well as the general angst of the WWII era itself, and McCluskey was fairly wallowing in his anguish here… while dropping names of Hopper paintings throughout the song. As usual the music was superficially happy, and for once, the soft synths were entirely appropriate to the proceedings. McCluskey now just had machines to keep himself company as he sang of the painful terminus of a relationship. Possibly one fraught with surveillance as verse two indicated. The brief interlude of “The Future Will Be Silent” was ostensibly built on McCluskey observing that noise diminishes as mechanical processes get refined over time to be more efficient and silent. An OMD science geek song. Yes, but could that also be a smokescreen for the fact that when one is alone, there is certainly a corresponding drop in the sounds of one’s daily life. A solitary person might not ever hear another human voice. This entry was posted in Core Collection, Designed By Peter Saville, DVD, Rock GPA and tagged 2013, English Electric, OMD. Bookmark the permalink. Thanks, I wasn’t aware of the back story, bearing that in mind puts a different (welcome) spin on this album for me. Mmm, personally I think you are reading too much into the lyrics. McClusky had been writing lyrics about failed relationships for 30 years before he got divorced and if anything there are fewer songs here about relationships than in previous albums. I was actually going through a marriage break-up when English Electric was released and I didn’t relate to it in that way at all, in fact listening to it took me away from my relationship problems. In both our cases it’s just our opinion and the only person who really knows is Andy though I’ve never read him saying his divorce influenced the songs in anyway. Personally I totally relate to ‘the future you anticipated has been cancelled’ in that when I was young (and OMD first formed) we were being told that mechanisation and robotics would mean that when we were older (ie the 21st Century) people wouldn’t need to work as it would all be done by robots and that we would have more leisure time and be able to focus on solving humanities problems like disease, hunger and poverty. That future we expected has not arrived and seems very unlikely to. In the 1980’s we had Ronald Reagan and Margaret Thatcher, 30 years on we have Donald Trump and Teresa May. Nothing has changed. Therefore I feel this is what OMD were referring to hence all the referencing of robots and other futuristic ideas. Thanks for the info on Night Cafe, I didn’t realise it related to the Hopper painting and it allows me to totally reappraise it and maybe like it again. When I first heard it on the album I thought it was an OK track, not one of their best but pleasant enough. I was rather surprised that it was released as the third single from the album (rather than the greatly superior and criminally overlooked Stay With Me) but then again OMD’s single choices down the years have been pretty haphazard. 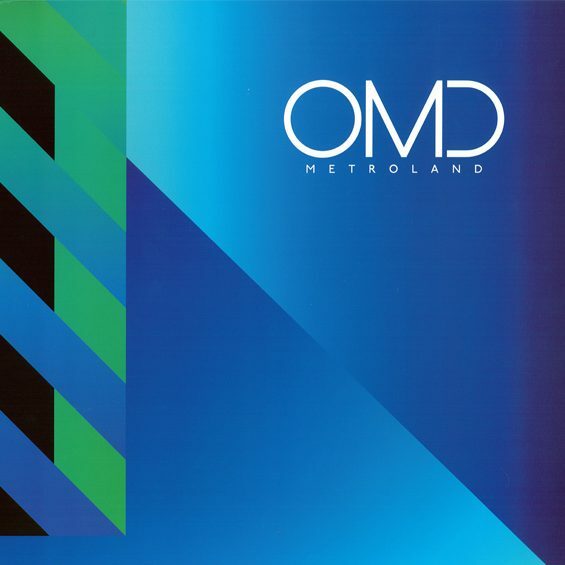 But I was completely put off ever wanting to listen to it again once I saw the official OMD authorised video for it. If you’ve never seen it, don’t. I’ve only seen it once and that was enough. It’s an animation with people killing each other, committing suicide and to top it off a masturbating dog. If that’s what OMD felt was the best way to promote what the song was about I decided that I never wanted to listen to it ever again. I will now try and listen to it again but this time have Nighthawks in my mind instead to try and cleanse the memory of the most sickening pop promo I’ve ever seen in my life. English Electric is something of a justification of all the import I have always put on Dazzle Ships. I love A+M, love Organisation, but Dazzle Ships has always spoken directly to me. It may have a checkered/tortured/desperate evolution, but it is something of a statement recording for me. 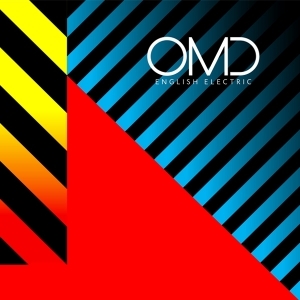 That it would take almost 30 years for OMD to return to the musical space they inhabited during Dazzle Ships meant quite a lot of pulling of my fandom back and forth, but I am glad I stuck around for there to be and English Electric.